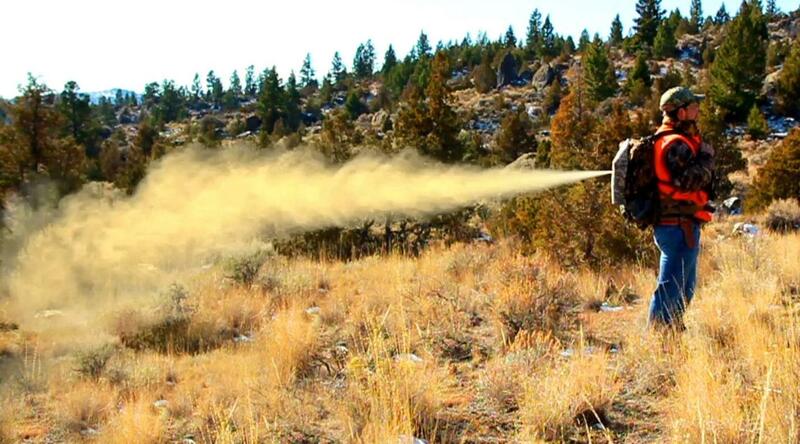 Fri., April 12, 2019, 3:48 p.m.
A group of conservation organizations is calling on wildlife officials in Wyoming and Idaho to require hunters to carry bear spray. The Cody Enterprise reports the proposal comes after an uptick in encounters during the fall hunting season as grizzly bears are drawn to gut piles left by hunters. The groups say hunters represent the leading human cause of grizzly bear mortality in the Greater Yellowstone Ecosystem, and most human injuries caused by grizzlies happen during encounters with hunters. Wyoming and Idaho have 60 days to respond to the groups’ petitions. Published: April 12, 2019, 3:48 p.m.
new Her 15-year-old tamed a mustang last summer. Now this Idaho woman is doing the same.